Rotary Club of Eastwood-Gladesville meets every Monday for Dinner at the Ryde Eastwood Leagues Club (Rutledge Room) . ROTARY CLUB OF EASTWOOD-GLADESVILLE Inc. The club was chartered on 19th November 2016. In the 2018/19 Rotary year, the Presidency will be shared by Mark Rosenberg, Kamal Ramchandani and Tony Tang. 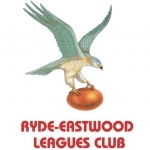 The new club meets at the Ryde Eastwood Leagues Club on Mondays at 6 for 6.30 pm in the Rutledge Room. Copyright 2019 the website of the Rotary Club of Eastwood-Gladesville. All rights reserved.